Unlock Your Sony Ericsson Phone in just few minutes! Choose your Sony Ericsson phone by selecting or searching from the drop down list. If you can't find your Sony Ericsson model contact us. How to unlock a Sony Ericsson phone? 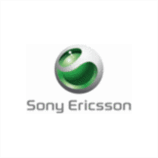 By using our remote unlocking services you will be able to use your Sony Ericsson with any GSM network provider worldwide without any restriction, saving money on roaming charges and increasing the resale value of your Sony Ericsson phone! Unlock your Sony Ericsson today, just select the model by using the drop down menu or type the exact model name to search for it then click next! You're about one click ahead to have your Sony Ericsson permanently unlocked thanks to Unlock-Network ! I got my unlock code in 1 week. got 4 code together but as per others comments and survey, i used nck code for my x10a(usa att locked phone) and it successfully unlocked. the price is high here but they provide reliable service. i trust them, its my 2nd time and i will b here for all my further unlock need. people reading this comment can b sure for reliability. thanks unlock network team.